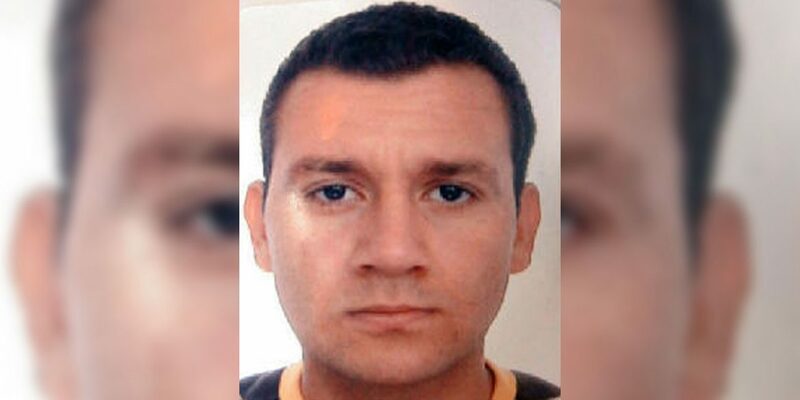 Luis Enrique Calle Serna, was one of the supreme leaders of drug gang “Los Rastrojos” and Colombia’s most wanted drug lord, before he surrendered to US authorities in October 2012. The captured Colombian drug lord was a trained pilot that gained notoriety as one of the senior leaders of the Rastrojos criminal syndicate, one of Colombia’s deadliest and most sophisticated drug trafficking organizations. El Doctor began his life of crime as a soldier for the now-defunct Popular Liberation Army (EPL) guerrilla group, before becoming an enforcer and hit man for the Norte del Valle Cartel, remnants of which went on to form the Rastrojos. After gaining similar experience and respect through his drug trafficking operations with the Norte del Valle Cartel, the low-profile Luis Enrique Calle Serna later became one of the senior leaders of Rastrojos. The Rastrojos is a criminal group engaged in exporting cocaine, extortion, illegal gold mining and kidnapping. Since 2006, the Rastrojos left their traditional strongholds in the Valle del Cauca and Cauca provinces along the Pacific coast and began operating in more than a third of Colombia’s 32 provinces. The Urabeños, a neo-paramilitary group in Colombia’s north, are one Rastrojos’ main rivals. Through his work with Rastrojos, Comba allegedly cultivated ties with FARC guerrillas and officials in the Colombian and Venezuelan military. Reports from early 2012 suggested that the Comba brothers sought to broker a deal with U.S. authorities regarding their possible surrender. Following their indictment by a New York court on drug trafficking offenses in June 2011, the brothers hoped to receive reduced sentences if they cooperated with police. In May, Javier Antonio Calle Serna surrendered to U.S. authorities and a month later, founder Diego Perez Henao, alias “Diego Rastrojo,” was arrested in Venezuela. In September, one of their key allies, “El Loco Barrera,” was also arrested inside Venezuelan territory. On October 4, it was reported that Luis Calle Serna had surrendered to U.S. authorities. “These criminals have no option. The pressure by the security forces leaves them no room and that’s why they end up handing themselves in,” claimed Colombian defense minister Juan Carlos Pinzon, following the news. Comba, who began his career in the now-defunct Norte del Valle cartel, was the last of the three supreme leaders of the Rastrojos to still be running what has been considered Colombia’s most powerful drug trafficking organization since the demobilization of paramilitary organization AUC in 2006 and the falling apart of the Norte del Valle due to infighting around 2005. The loss of Serna, and his fellow bosses, meant rival groups like the Urabeños could take advantage of Rastrojos’ weakened position and encroach into their territory. He served five years in a US prison between 2012 and 2017, during which time he gave information to US authorities which led to the capture and extradition of multiple drug traffickers and money launderers in Colombia. In February 2017 a New York court sentenced Serna to nine years in prison, which, taking into account the five years already served, means he could be back on the streets as early as 2021.